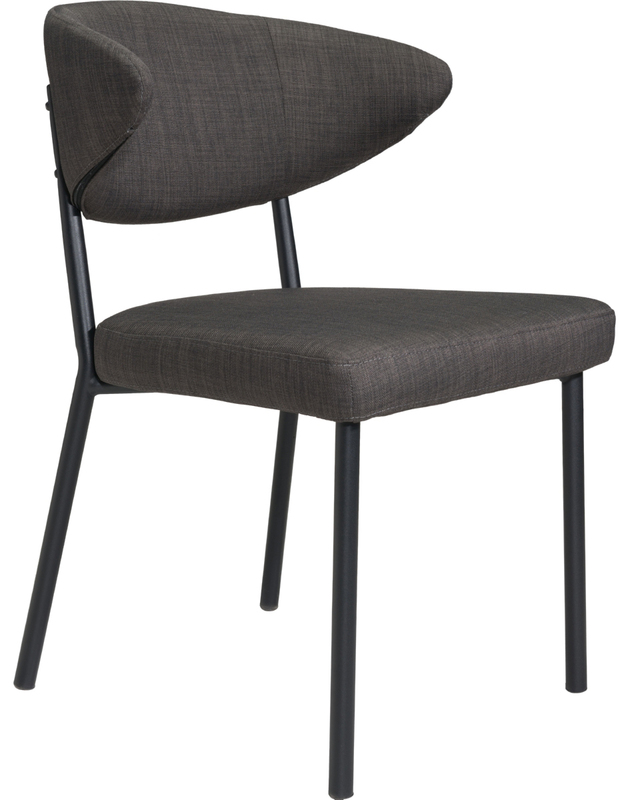 The Pontus Dining Chair Black is a great chair to add character into any dining room with its modern European inspired design. 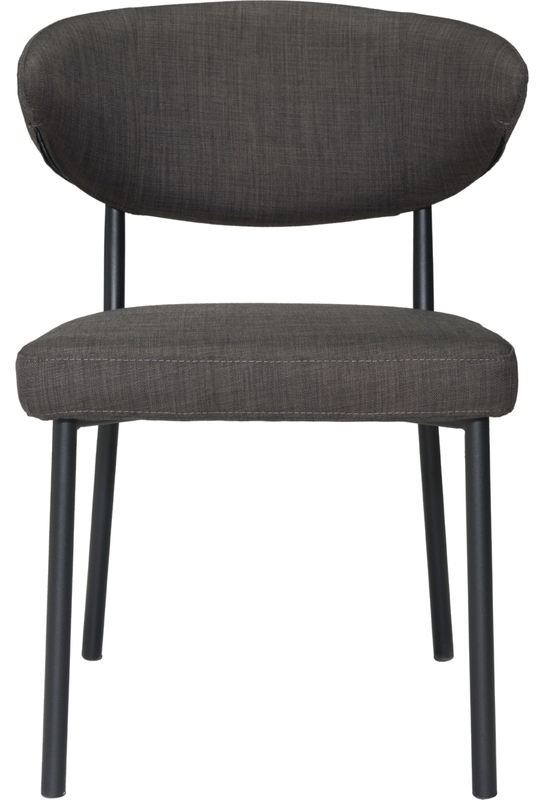 Pontus features a curved elliptical back that gently snugs its user and upholstered a charcoal grey poly-linen fabric. 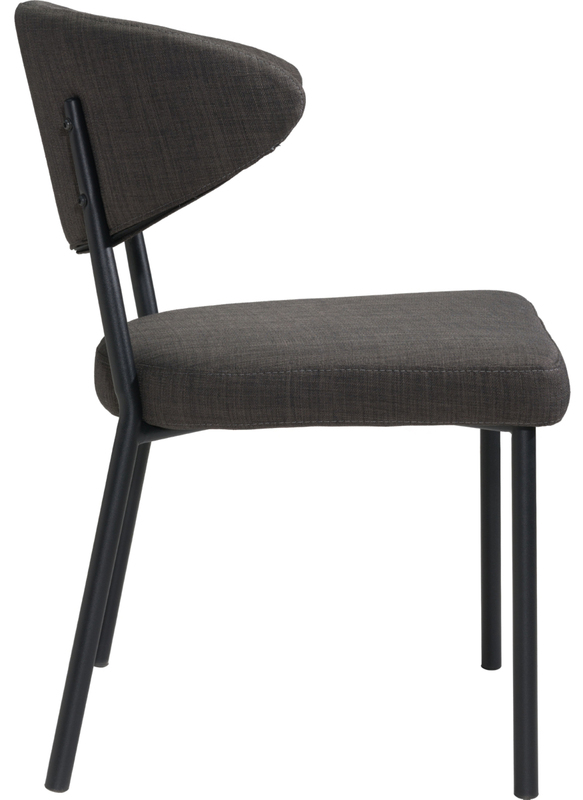 Both seating and backrest are attached to a painted black steel frame and come with black feet protectors. 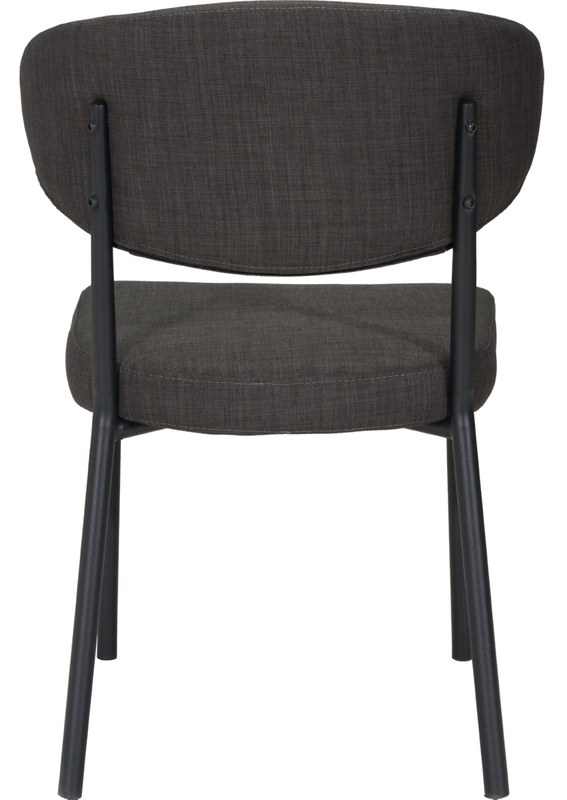 The Pontus Dining Chair is sold in sets of 2.